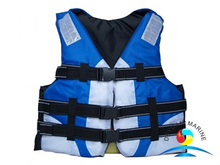 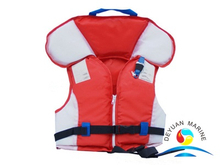 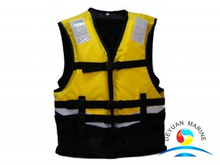 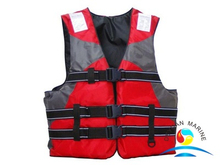 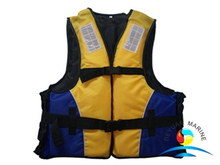 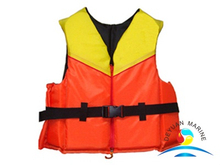 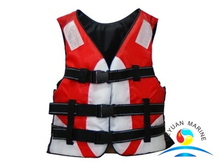 Our water sports lifejackets was specially design for Leisure,outdoor activities,water lifesaving activities,different types are available,sizes are S,L,XL,XXL,XXXL. 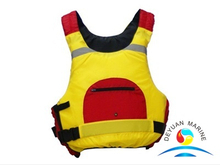 Its material is Nylon oxford fabric & EPE foam,with Orange, fluorescent yellow, red, blue color. 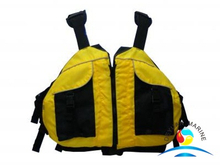 All our water sports lifejacket is made of top quality material with compectitive price.If you are looking any water sports lifejacket at the moment,pls contact our sales team for more details.